3. finish: polished, honed, antique, sandblasted etc. 4. available sizes: slab: 2400up x 1200up x 15mm, 2400up x 1200up x 20mm, 2400up x 1200up x 30mm etc. tile: 305 x 305 x 10mm, 305 x 610 x 10mm, 610 x 610 x 10mm etc. cut-to-size: 457 x 457 x 10mm, 300 x 300 x 20mm, 300 x 600 x 20mm, 600 x 600 x 20mm etc. stair: 1100-1500 x 300-330 x 20/30mm, 1100-1500 x 140-160 x 20mm etc. 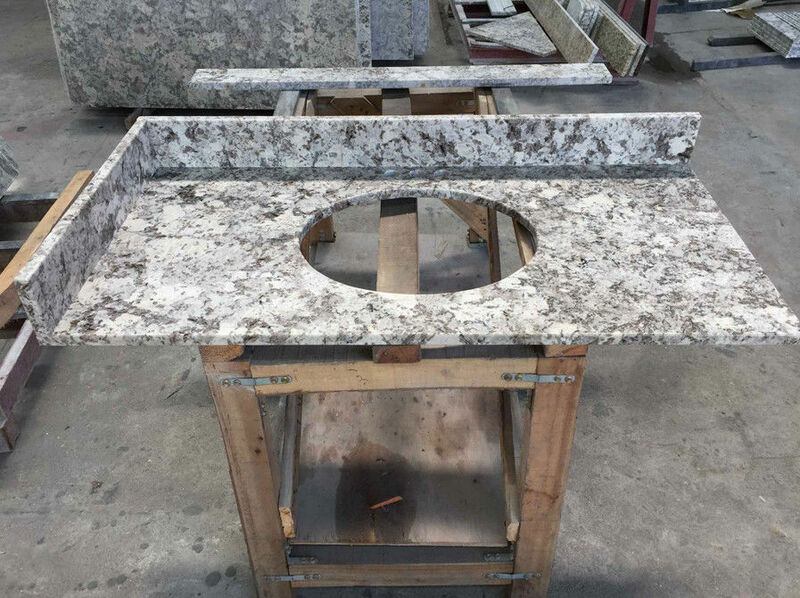 countertop: 96" x 36", 96" x 25-1/2", 78" x 25-1/2", 78" x 36", 72" x 36", 96" x 16" etc. sink: 500 x 410 x 190mm, 430 x 350 x 195mm etc. mosaic: 300 x 300 x 8mm, 457 x 457 x 8mm, 610 x 610 x 10mm etc. 7. MOQ we can accept wholesale and retail. no limit for quantity. But, if quantity is more than a container, we can give you a discount. 10. usage: hotel, residential, plaza, etc. Bianco Antico Granite countertops feature a soft gray background with warm taupe and pink flecks. In addition to countertops, this beautiful granite can be used for coordinating backsplashes, accent walls, and floors. Granite is recommended for both residential and commercial projects, and can be used in exterior projects for wall cladding, landscaping, and countertops. 3/4", 1 1/2" & 1 3/16"
We are welcom the custom designs,could product strictly according do your drawings or designs.